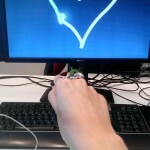 The Leap Motion: First Leap! 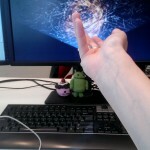 This is just a quick and dirty post about my first leaps with the Leap Motion. 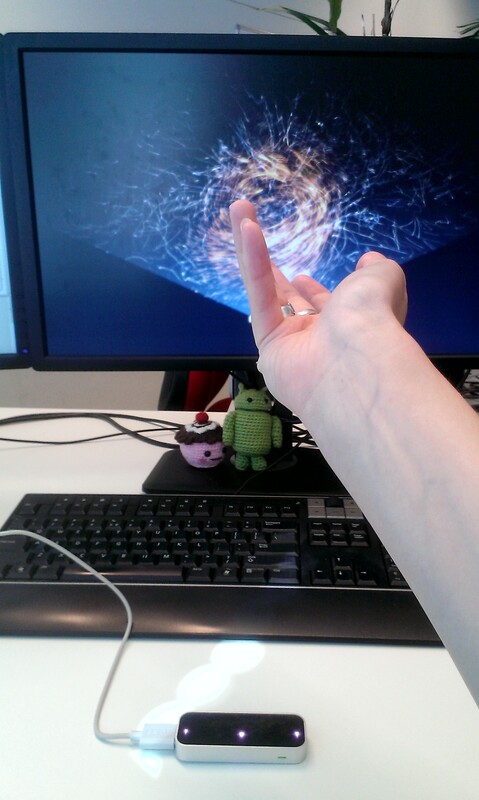 For those of you unfamiliar with this device, it’s a tiny device that provides ‘motion sensing technology for human–computer interaction’ and promises to be World’s Most Accurate 3-D Motion Control. 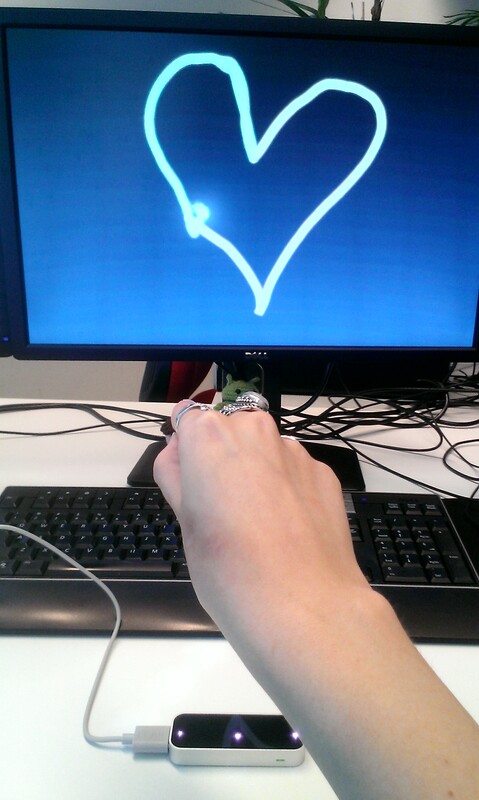 Today I got to play around with a Leap Motion, because the lovely Computer Graphics and Visualization group is awesome that way. First up: some low-quality phone pictures! 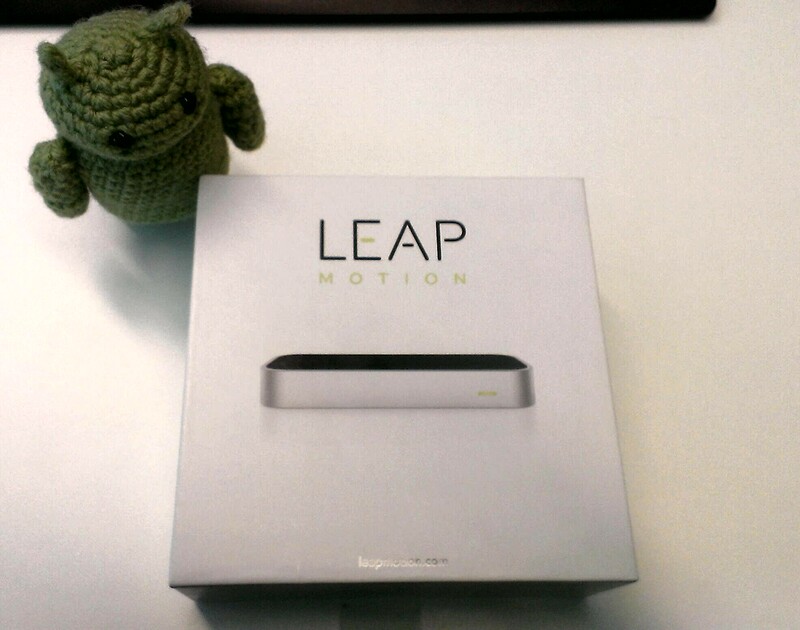 Continue reading The Leap Motion: First Leap! 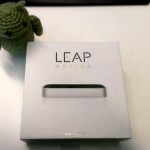 Posted on August 12, 2013 October 13, 2013 Categories Gadgets, ReviewTags first look, leap motion, review2 Comments on The Leap Motion: First Leap!